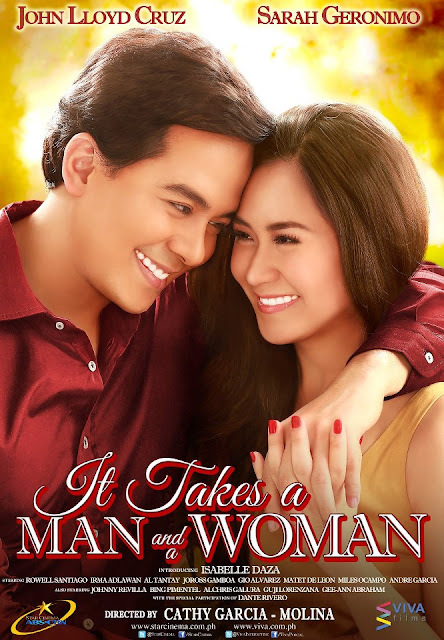 It Takes a Man and A Woman is the third installment in a series of movies that has spanned five years. We've loved Miggy and Laida's unusual tandem since the first movie, and I have watched both A Very Special Love and You Changed My Life over and over, whenever they've been shown on TV. Ever since we were caught in traffic along C5 en route to ParadiZoo on February 17, I'd been looking forward to seeing this film. Shooting for the film, captured in the photo below by Twitter user @JPdHotMESS, had caused us a minor inconvenience. But upon seeing what it was all about, we couldn't really complain. We were, after all, fans of the movie franchise. It took one look at the billboard and I knew it was part of the film. We didn't really see Sarah, we only got a glimpse of Al Tantay who played her movie Dad. He was on the front passenger seat and we passed right next to the car (but couldn't very well stop to take photos). In A Very Special Love, Laida was a naive young girl fresh out of college, out to pursue her dreams, and her dream man. She believed in goodness and always made it a point to see the positive side of things. It was no surprise that she melted the young bachelor's heart, and changed his life too. It was still pretty much the same in You Changed My Life, except that we start to see Laida seemingly adjusting to the lifestyle of one rich and successful young businessman. She was still pretty much at the beck and call of Miggy. This time though, we see Laida version 2.0. An older, wiser, fiercer, (and bitter) version of the sweet young lady we have come to love. We learn that she has spent some years in Canada and New York City, and that she also left Miggy after the latter had become unfaithful. Laida rejoins Flippage as a consultant, hired to help them secure a deal with international magazine Metamorphosis. Flippage is the Montenegro Group's publishing arm that Miggy now heads again. His current girlfriend, the beautiful Belle (gorgeous Isabelle Daza), is the Marketing Manager for the company. Knowing this, Laida accepts the challenge and works on her own terms. She obviously goes out of her way to disagree with Miggy, but their chemistry is unmistakable. The magazine staff, still the same people behind the success of Bachelor and their friends from the previous films, came up with a brilliant concept for their mock issue to be presented to the publisher of Met: to show the change that Laida went through from version 1 to version 2.0. In the process, they discover that what's really missing is Laida's genuine smile that even her father has missed. It takes Miggy to get Laida to smile again. This happens when they travel to New York to complete the shoot and pitch the proposal to Met. They spend time alone together, touring the spots just like they promised each other all those years ago when they were still a couple. 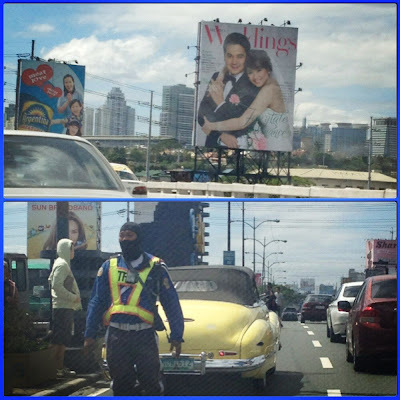 Laida finds out that Miggy followed her to the US but wasn't able to track her down. But more importantly, she learns that to love unconditionally also means being able to forgive transgressions. As her true feelings for Miggy surfaces, we learn that the new Laida is still pretty much the same. We also learn that she has also harbored an anger towards her father who was also caught not being faithful to her Mother. She could not understand how her Mom was able to forgive, how she is able to live with her husband again. Eventually, she understands that too. Before our eyes we saw Miggy and Laida grow up to be a man and a woman. Man enough to own up to his mistakes, and rectify them. Woman enough to forgive, to be independent, yet allowing herself to be loved. It was also nice to see that despite everything that seemed to have gone wrong in Miggy's life when Laida left him, his family was very supportive of him. Art (older brother) seemed kinder, as if he understood what Miggy was going through. The airport scene was surely cheesy, but fun. Imagine that happening to you? Haba ng hair.